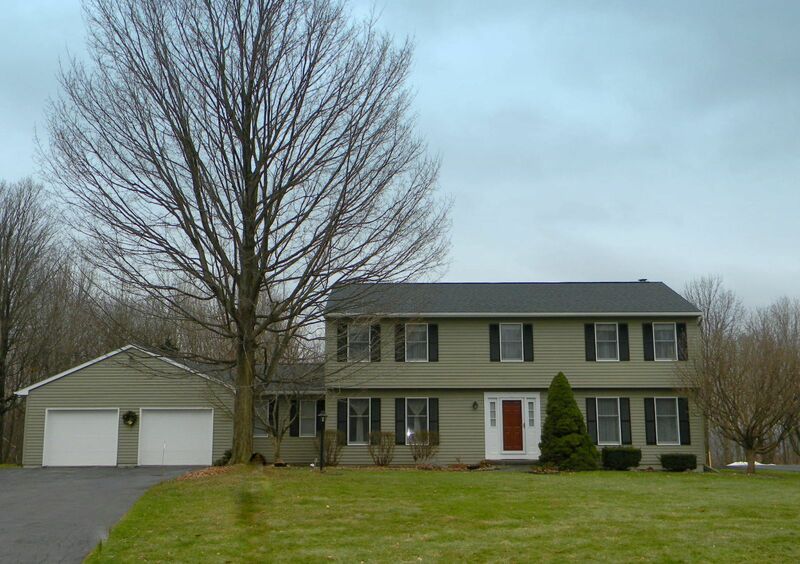 Manlius, New York Real Estate – Contact Bob McTague at 315-882-6610 - 8523 Woodbox Road, Manlius, New York. - Location! Location! This wonderful Colonial home is located on a cul-de-sac with 1.49 acres in a desirable neighborhood. This home features all large rooms with plenty of storage. First floor has gleaming hardwoods, formal living and dining rooms, family room with beautiful wood-burning fireplace and skylights, mud room, 1st floor laundry, eat-in kitchen with walk-in pantry and desk area, and fabulous light and bright 4 season Florida room to enjoy the backyard year round. Second floor has 4 bedrooms and 2 full baths. Sit on the deck and enjoy privacy and nature year-round!